This high quality product allows for convenient, effortless and perfect sanding of difficult edges and stairs. The FLIP features a powerful motor with a high level of suction, simple operation, easy maintenance and is available with three different attachments. 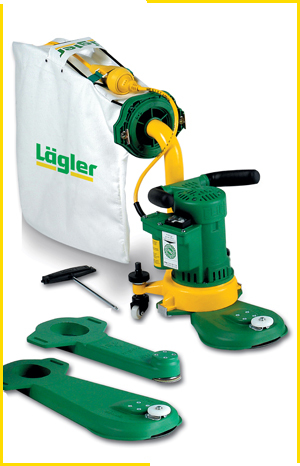 The standard version can be fitted with conventional sandpaper and velcro-backed sanding discs.